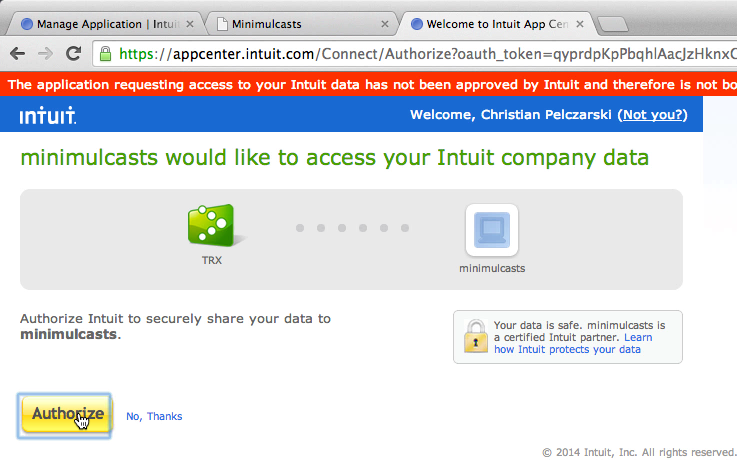 IMPORTANT: Intuit has introduced and requires developing against sandboxes for U.S. QBO. 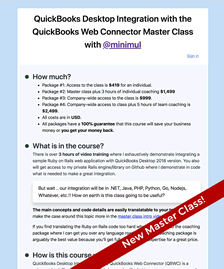 See my new article, Connect Rails and QuickBooks Online via Sandbox, which would come in around step 4 or so for this article. If you already have a QBO account you can use your username and password to join as a developer. If you are a developer desiring a test account then email Intuit @ ippdevelopersupport@intuit.com and request a developer subscription to QBO. Fill in the form like in this figure and "Save". Note: the minimulcasts.io is provided because a real domain is needed to get past the validations. 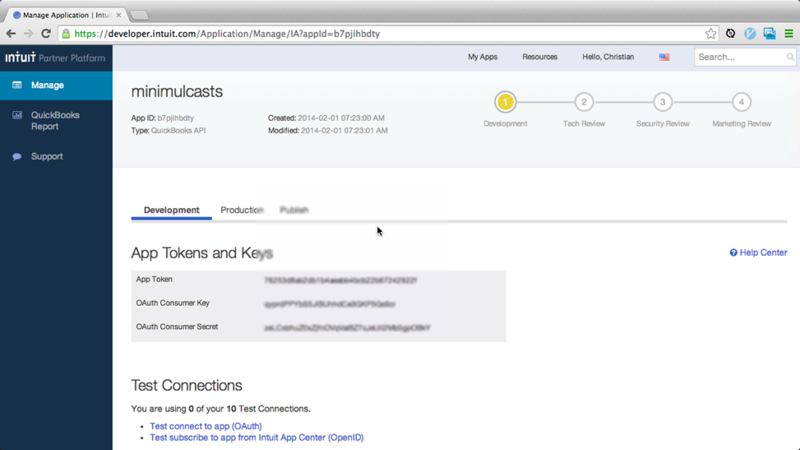 Next, your app tokens and keys are generated. Create a new Rails app and hook it up with Pow. 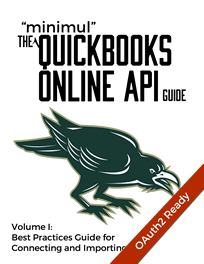 Add the quickbooks-ruby and oauth-plugin gems. QB_KEY = "<copy from developer.intuit.com>"
QB_SECRET = "<copy from developer.intuit.com>"
Next, hook actions up to those new routes app/controllers/vendors_controller.rb. 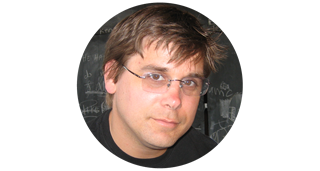 Pay attention to the Rails 4.1 and greater notes in the next 2 methods. 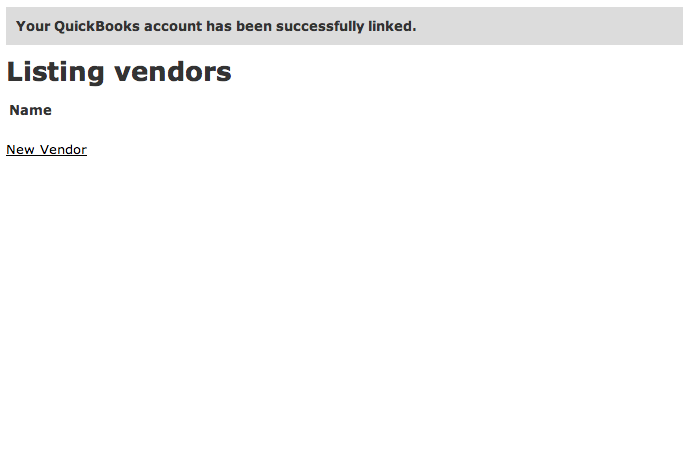 redirect_to root_url, notice: "Your QuickBooks account has been successfully linked." You will persist the token, secret & realmId to the database. Those 3 items are needed to communicate with QBO. For brevity, sessions are used for persistence. 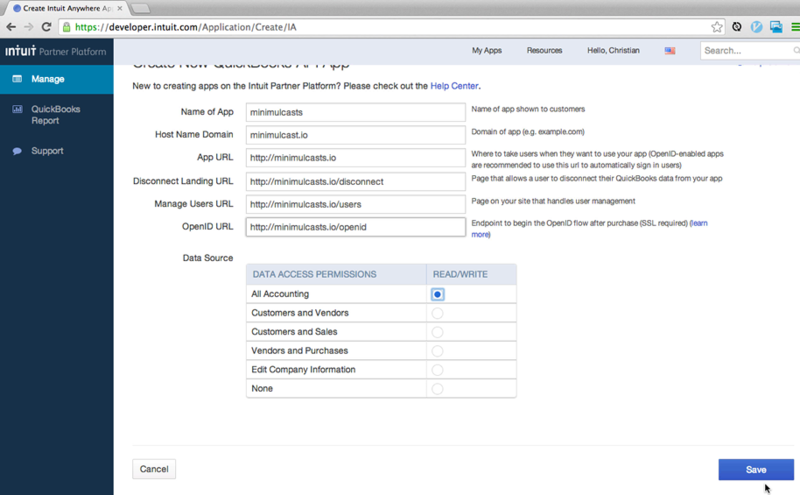 Add Intuit Connect button to application layout at app/view/layouts/application.html.erb. Connect with QuickBooks button is generated from Intuit. Put in your QuickBooks Online username and password. Then click the 'Authorize' button. 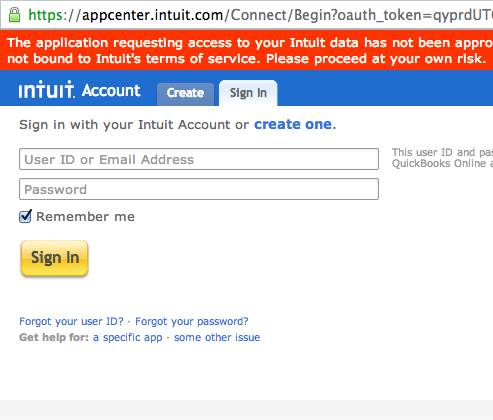 Once authenticated Intuit will return a GET request to the /vendors/oauth_callback. We are now authorized to communicate with QuickBooks Online. Finally, double check that the QBO connection was successful by logging into QuickBooks Online then go to the 'Company' tab and then to the 'Activity Log' submenu. In Part 2 I demonstrate actually creating an entity over at QBO.